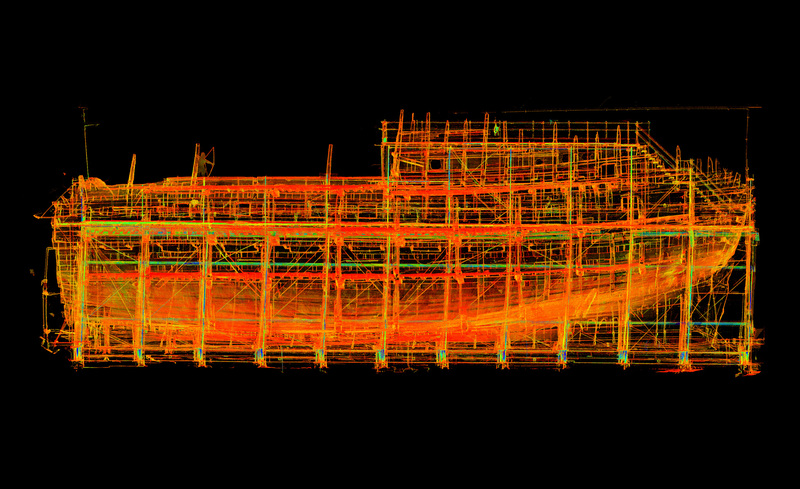 In 2009 ABA Surveying was asked to scan and provide a 3D point cloud for the Mary Rose. Since the wreck had been raised from the bottom of the seabed of the Solent in 1982 it had been housed in a temporary structure and the timbers were being preserved in a chemical mist. A new visitor centre and museum were being constructed around the existing ship, which was not being moved, and the timbers were to be finally allowed to dry out after completion of the preservation process. 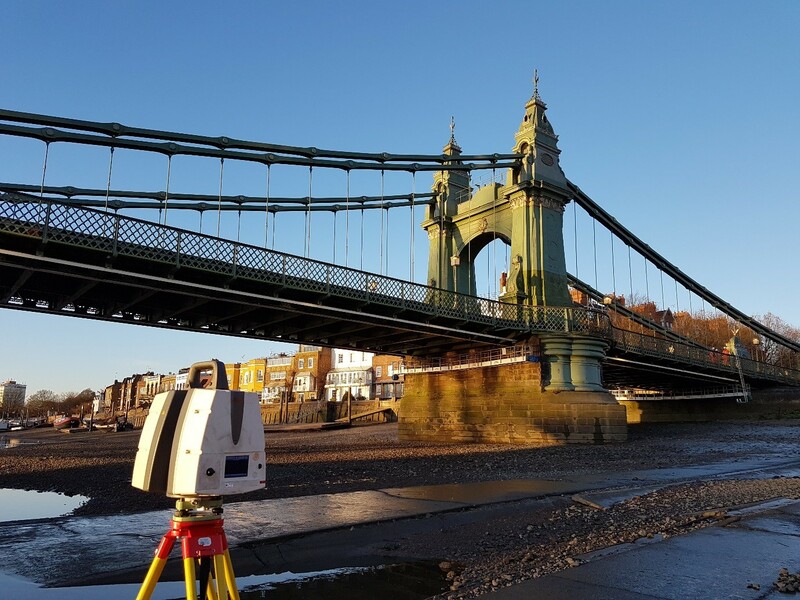 Our client required an accurate model to undertake a finite analysis of the airflow over the restored structure. The task presented two main challenges. 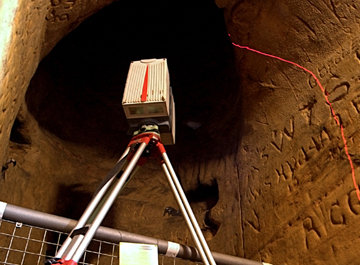 Firstly, the physical challenge of how to get the scanner “into” the ship, without intervention from a surveyor. Secondly, the challenge of working in a hazardous environment when the time available to undertake survey work was limited to short periods when the mist sprinklers were turned off. 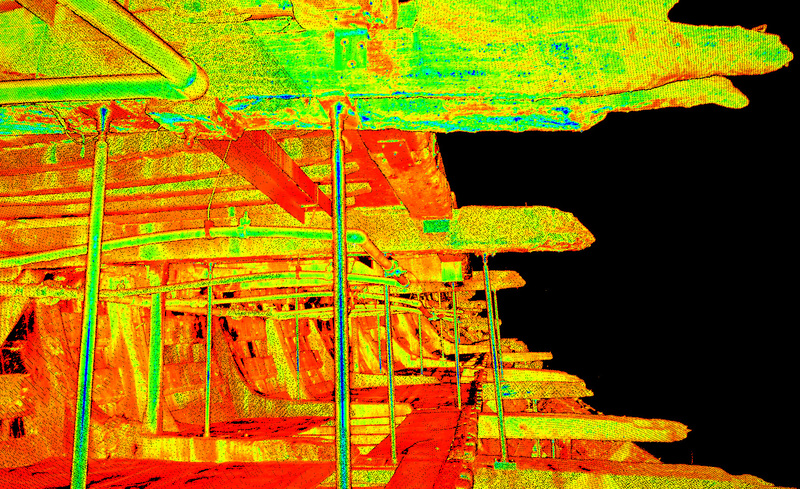 Scanning of the ship had been undertaken in the past (and has been since) using scan positions at ground level only. This has left areas of the timber structure without scan coverage and has made it impossible to create a complete mesh object. 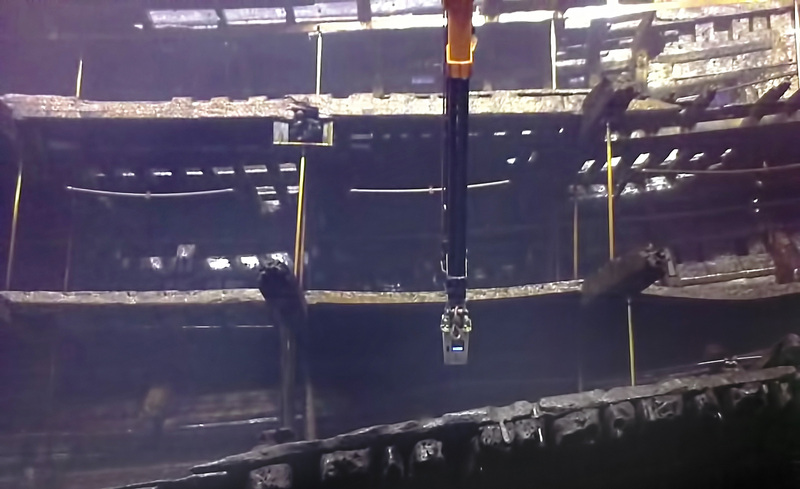 In order to provide a point cloud giving complete coverage of the ship, we mounted our Leica HDS 6200 laser scanners on a remote arm and moved them into numerous positions within the timber structure. The scanner was then controlled remotely via Wifi. 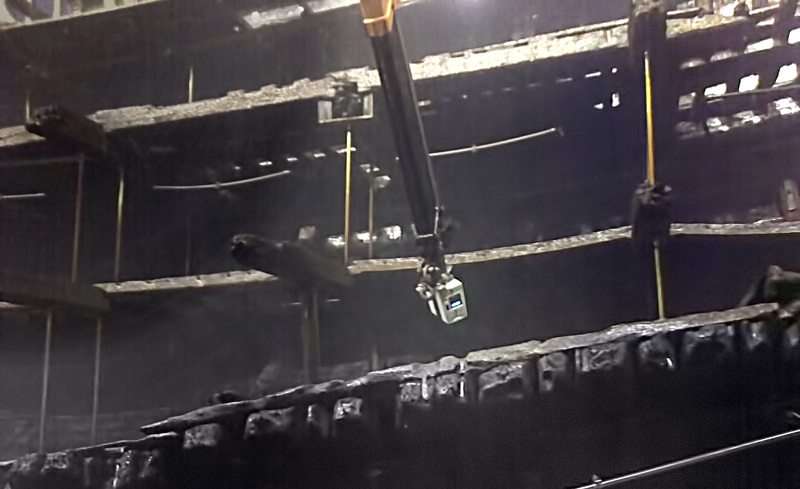 110 scans were undertaken with the robotic arm being moved into position on each occasion. It was critical that a high scan speed could be utilised as there was only a short window of time when the mist was switched off. 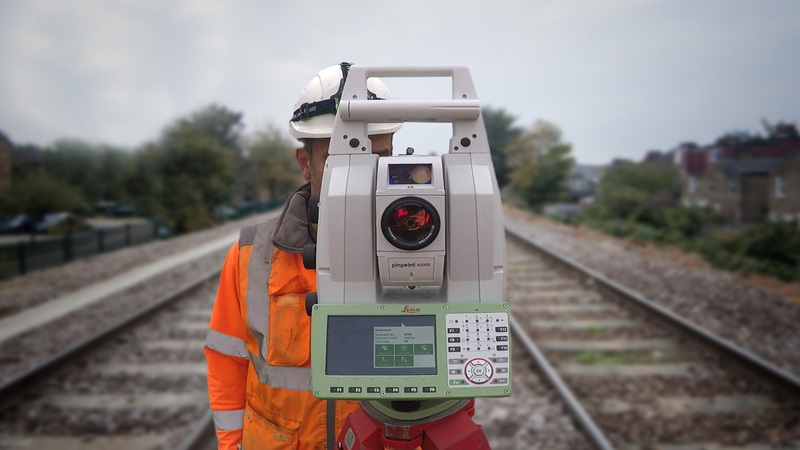 The HDS 6200 was ideal as it is a high-speed phase based laser scanner which can be controlled remotely. A site survey grid was also established and black and white targets coordinated for use in scan registration. 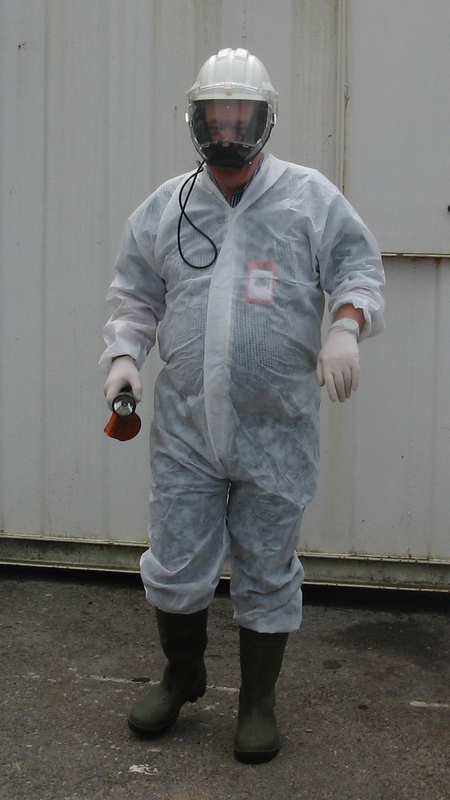 Staff had to wear full body suit protective clothing at all times. Back in the office the scans were registered using Leica’s Cyclone Register module. Even with the mist sprinklers turned off, the atmospheric conditions caused a degree of spurious points which needed to be manually cleaned from the scans. The client was then supplied with blocks of point cloud exported as PTS files, which they used to create a mesh object for their analysis and TruViews to aid in visualisation.